Chuchi can be defined as fancy or big headed, but that’s not really a good translation. Let me try to explain “chuchi” in the context of Paraguayan culture. In Paraguay things are used until they don’t exist; it is hot; and there is a lot of sand that turns to mud when it rains. Outside of larger towns the only option you have for shopping are little house-front shops. People here recycle—my family gets their milk delivered in old 2 liter soda bottles. Even people with running water tend to wash, or at least rinse, their clothes by hand. The sun scorches, but it also dries things quickly. Despite the sand and ants (which are everywhere) neatness and cleanliness are part of the culture. Some people even iron their underwear. But “nice” attire, at least outside the capital, Asunción, takes on a completely different form than it does in the US. For men slacks and a polo, not necessarily tucked in, is good for almost any occasion requiring formal dress. For women, capris with wedge sandals and a short sleeve (or long sleeve) blouse will do. In US terms, business casual is formal. The well-dressed person is well kept, clean, and without wrinkled clothes. Chuchi is used to describe something that is nicer than it needs to be, or particularly nice. Chuchi shoes shouldn’t be worn when regular shoes could be. A house with extra frills, beyond the functional, like new, detailed kitchen cabinets might be chuchi. If someone looks especially well put together they might be chuchi. Chuchi is excess. It’s not negative, like we view it in the US. It’s a word used to show people you noticed their extra effort. If you (US resident) had a visitor from another country who had never been to the US before how would you show them what America is all about? What would you show them? What would you do? What would you eat? I imagine those are the questions running through the heads’ of my host family members right now. They are also the questions running though my head, but from the opposite direction. How can I figure out what Paraguay is all about? What do I need to see? What do I need to do? What should I eat? A buzzword for the Peace Corps is “assimilation” – the taking and understanding of another culture. It’s important to the Peace Corps because the assimilated volunteer is the successful volunteer. (We will avoid defining success right now because I wager I’ll post about that in a year or two). How does one assimilate? That is the great overarching question of Peace Corps training. One thing I’m doing and several other trainees are doing to assimilate is learning traditional Paraguayan dance. 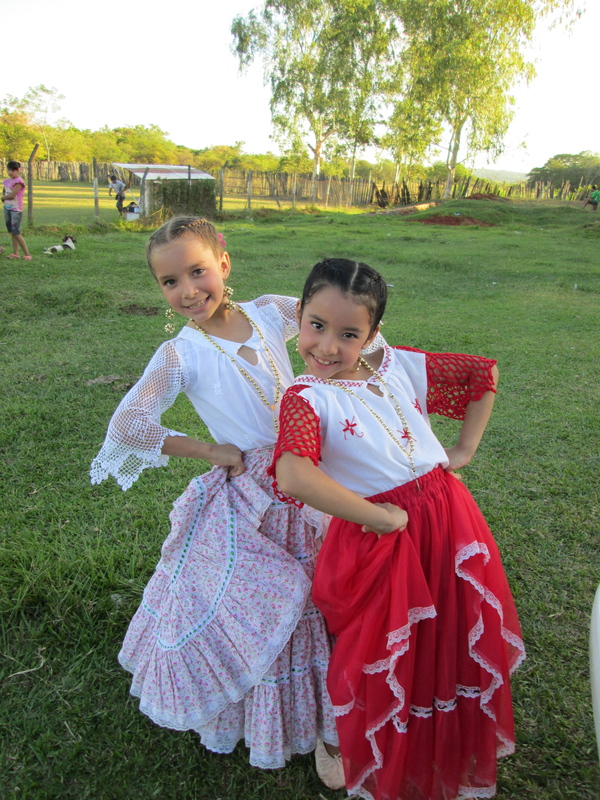 To me, the best part about traditional Paraguayan dance is the costumes. Women wear flowing skirts, embroidered and laced shirts, flashy earrings and cross necklaces, and braided hairdos. Men ware a white shirt and black pants, a bright, multicolored waistband, a handkerchief over their collars, and a straw hat. My least favorite part about Paraguayan dance is the music. At least right now, all the music sounds the same to me – a kind of patriotic march. The dance itself is neat. Traditional Paraguayan dance reminds me of contra dancing in the US. Some dances are done with couples and others aren’t, but all (at least what I’ve seen and started learning) involve many people. There are specific steps and formations. Saturday afternoons we have dance class. Several other volunteers and I joined girls and boys in our neighborhood for free dance lessons in a covered area next to the soccer field. The dance professor is good humored but serious. For the same reason I like the harbors of Maine, I like learning traditional Paraguayan dance—to carry on and share the tradition and to remember all those who traced the steps before me. Last week, I went on my first site visit. In pairs we (the trainees) traveled to a current volunteer’s site to learn about volunteer life. I was ecstatic to finally see a site after spending weeks discussing sites theoretically—it sunk in that in only a little over a month I too will live in a site of my very own. Sleeping in, taking siesta, selecting my own food… my wonderful host spoiled me. 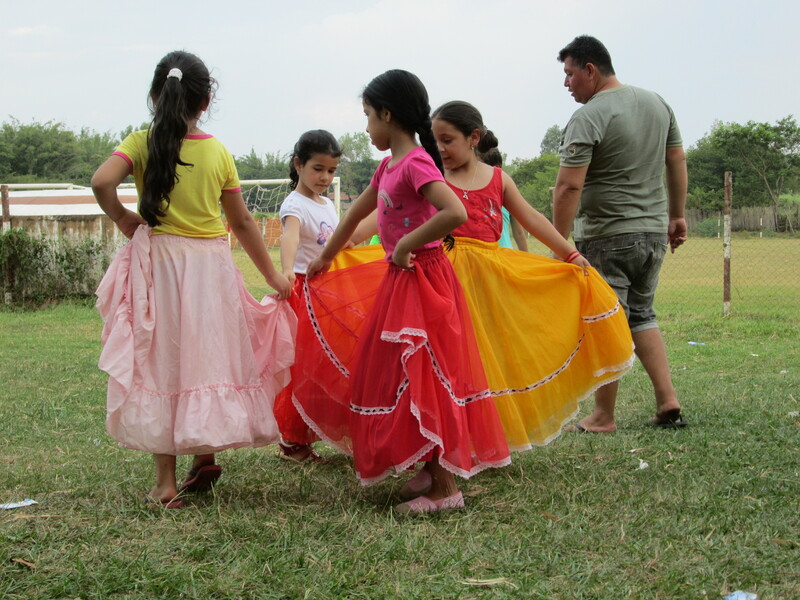 The visit shed light on the Paraguay beyond my training community. 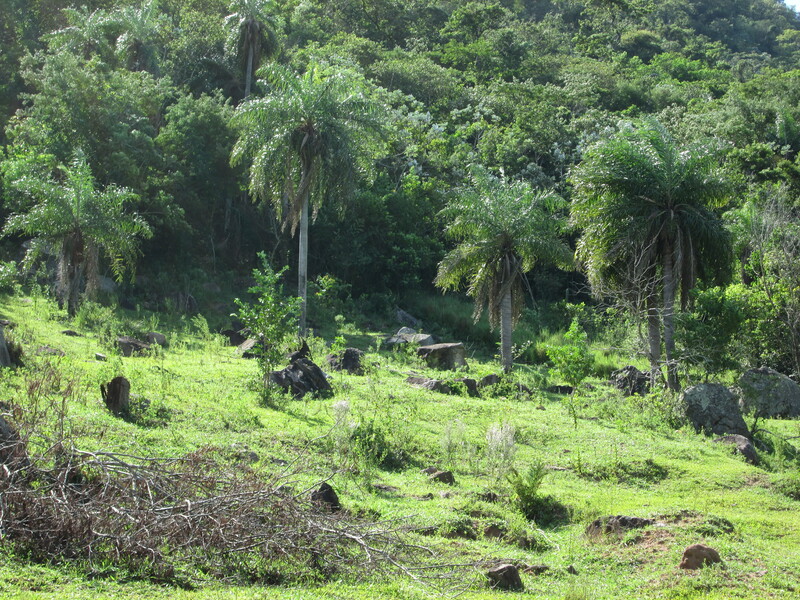 The department that I visited, Paraguarí, is green and tranquil. 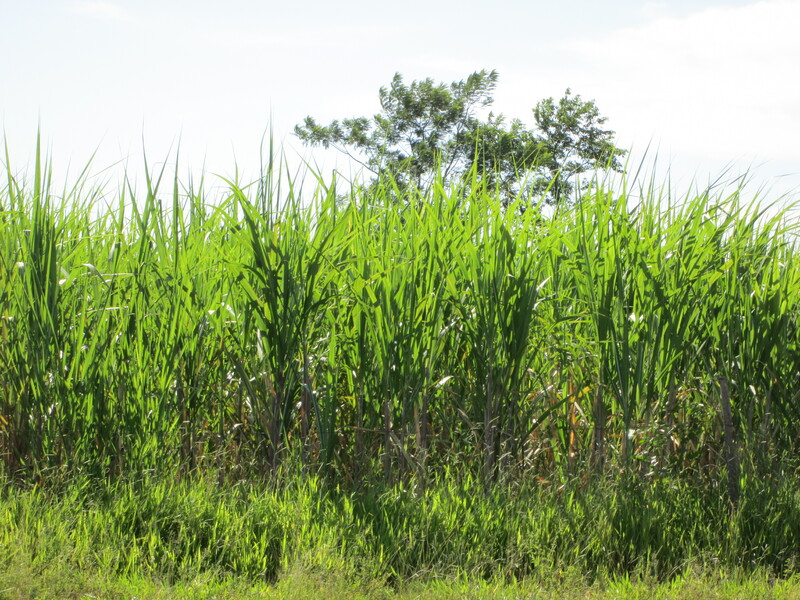 During the visit we hiked along a stream with little waterfalls, viewed the plains from a hilltop garnished with palms, and enjoyed the vibrant sugarcane fields. Through the course of the visit two contradicting feelings bubbled through me: excitement and dread. Daydreaming about what my house would look like was the root of my excitement. 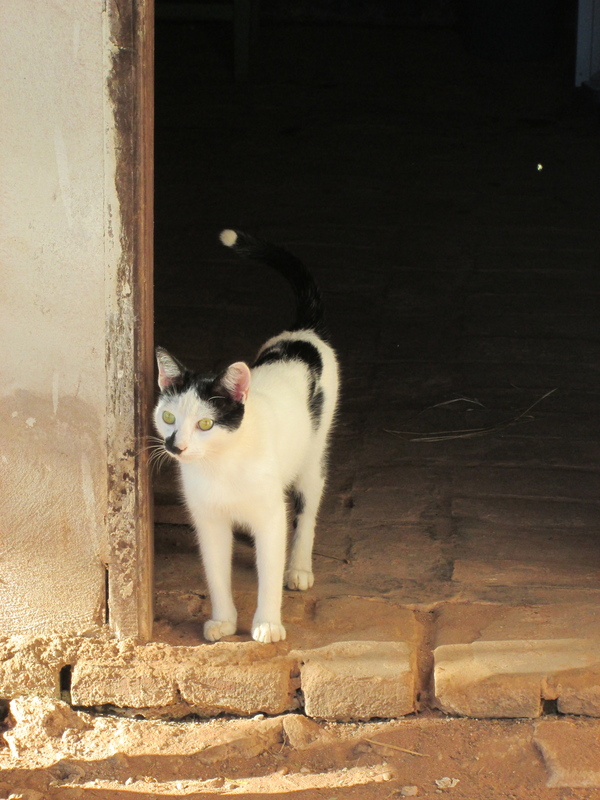 Seeing how my host had decorated her mud and brick house walls, stocked her kitchen with all kinds of goodies, and shared her space with an energetic cat I’m itching to get started with my own homestead in Paraguay. Dread came from an entirely different place: reality. Despite my host’s positivity there are slow times (no tangible work) and hard times (rumors, gossip, etc.) between the rewarding times (little victories). The visit showed that we volunteers are not in control of our work. As a volunteer we have a responsibility to put ourselves out there, build relationships, offer our ideas, lend a hand, but in the end all projects, work, and relationships come back to the Paraguayans of our community. What I mean to say is that pure desire to work hard doesn’t guarantee that you will accomplish any project that you can report on—a project that has numerical results (i.e. things produced). Being a volunteer is the epitome of teamwork, you have to trust and work with others of a culture you are still learning to navigate. I returned from the site visit with the vision that I’d be trapped in a rainbow for the next two years—caught in the rain and the sun at the same time. I traveled using the buses to Asunción for the first time on Wednesday. The other trainees and I were divided into pairs and tasked with getting to Asunción and to several locations throughout the city. I left my house around 5:40 a.m. and met with several other volunteers to walk to the town center were we would meet our travel partners and catch our first bus. The bus started comfortably full, but with every lurching stop there was less space as more people climbed onto the bus. Out the window I saw brink and stucco houses, some painted bright colors and others lighter hues of dirt. I read the painted signs on some—many faded or dented—of the house-front shops: “Coka-Cola,” “ice cream,” “ice” they declared. The breeze from the bus’ motion and the early start dampened the descending heat as the sun rose inch-by-inch. People sitting slept with their bags clutched close and their heads against the windows. A man and woman standing behind me talked about a Peace Corps volunteer who lived with the woman—or maybe had lived with her in the past—the woman only said good things and I didn’t have the chance to see her face. If it weren’t for the tightness of my calves from bracing against every jolt of the breaks, it wouldn’t have been as apparent that the ride was over an hour. The traffic buzzed and the heat settled as we entered the outskirts of Asunción. Soon, I saw it, the bus terminal. It was the first stop on our journey. We needed to change buses. 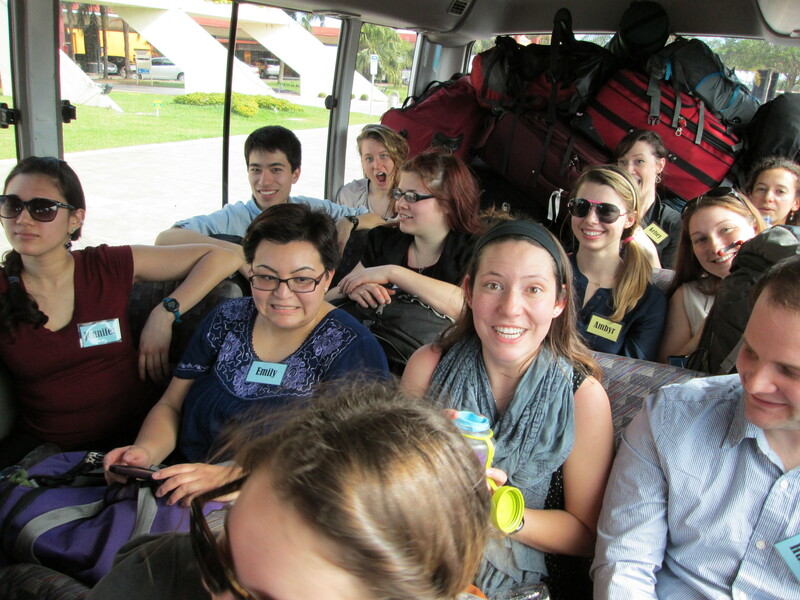 We crowded onto another bus—the one that would take us to our first Peace Corps-assigned stop, a major market called Marcado 4. My host parents told me that I’d know when we got to the market because there’d be tons of stands and shops. There are very few signs, including road signs, in Asunción. Joyfully, I discovered my host parents were right: The market was obvious. Marcado 4 had just opened. It wasn’t an open-air market and it wasn’t a mall. It was a warehouse divided into floors, each floor a winding maze of stands. Around the warehouse were more stands that opened onto the street but also to the inside of the warehouse. It was divided by theme. Bright shirts, sequin-encrusted tops, and selves of sandals shouted from the windows; deodorant, toothpaste, and soap piled high on crates; baskets of dog food, cat food, and herbs fouled the air with their pungent smell. I bought cookies to tide me over until lunch. The market was still just waking up, but young women were already sitting outside the nail polish store. The women of Paraguay don’t just paint their nails—they turn their nails into art and change their color almost as often as their outfits. We passed two men sawing the ribs off a side of beef and another man grinding up herbs with a pestle and mortar. My travel buddy and I spoke in our fragmented Spanish as we reviewed our assigned tasks and planned our next steps. We were looking for dental hygiene products. Toothpaste was easier to find, but toothbrushes were harder. I’ve yet to find dental floss, though people tell me it’s sold in supermarkets and in pharmacies. Our Asunción missions were related to dental hygiene because it is an important health topic in Paraguay. Many people here don’t brush their teeth regularly and dental care is expensive—as a volunteer I could help educate children about teeth brushing and why it’s important. Our next stop was Paraguay’s Ministry of Health, specifically the dental and mouth division. We thought we found the building easily and sat in the shade, to wait. We were early. The ministry lives in a series of yellow buildings ranging in size and style. We wandered around the first building until we found someone who could help us. She said to go to a different building…two buildings later we finally found someone who could tell us where to find the person with whom we were supposed to talk. We found our contact (well she actually found us, we must have looked lost) outside among a bunch of ministry vans. 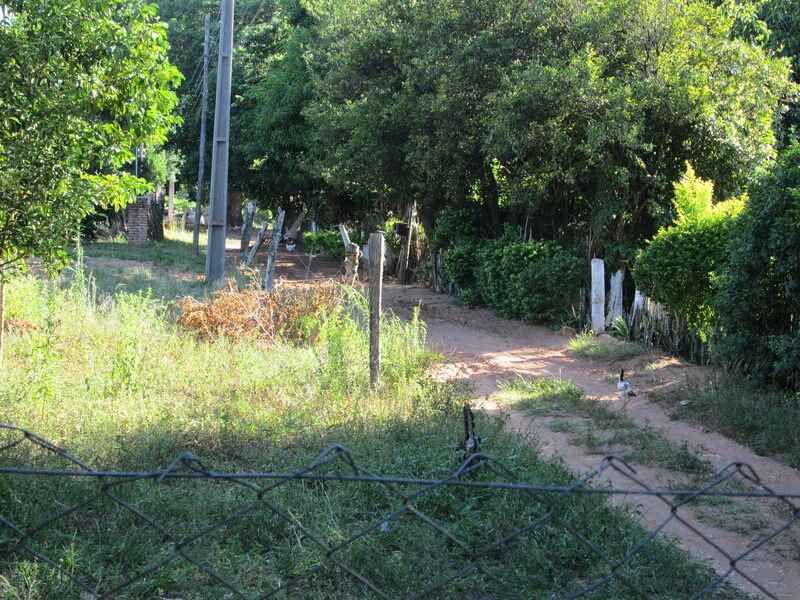 The vans are used to help people in really rural areas of Paraguay get medical treatment. Our contact was a doctor in the dental and mouth division of the ministry. She is an energetic woman with a large smile. She talks very quickly. The ministry has three main dental health programs and materials that we could request to help with dental health trainings. All requests must be submitted in writing. After our brief, though thorough, discussion of the ministry’s offerings and the doctor’s suggestions for how we could tackle dental health when we become volunteers, we were back on the street. It was early and we were hungry so we popped into the closest, cheap eatery we found. It wasn’t glamorous, but they had one of the cleanest public restrooms I’ve used anywhere. I had a sandwich and yogurt. Did you know in Paraguay yogurt is often more liquid than solid. You eat it by drinking it, not with a spoon. We wandered around trying to find the corner where we were supposed to catch our final bus. The directions made it sound easy. It was only a couple of blocks away, but somehow we couldn’t find it. We asked for directions. In Paraguay, I’ve been warned, people will give you directions if you ask even if they don’t know where the place about which you asked is. Because of this, it is advised that you ask for directions from more than one person. We broke this rule. We ask one woman and then waited at the bus stop she was at, as she recommended. Luckily, at about the time we were starting to think maybe we should ask someone else she gave us different directions. Just like that we found the corner and were on our last bus. The ride to the Peace Corps office, our last stop, was simple. We passed a soccer stadium and the United States embassy along the way. We heard about a brochure that had complete information about getting around Asunción and a man sing what may or may not have been a traditional Paraguayan song. 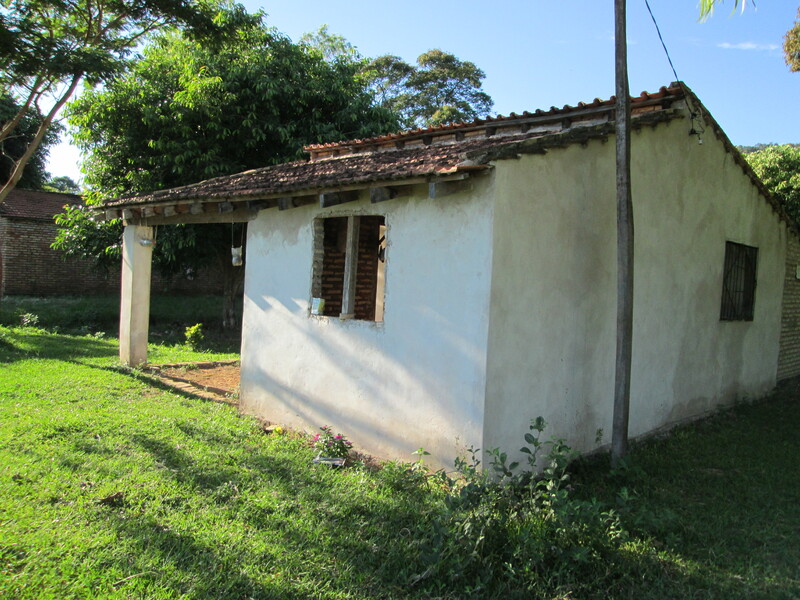 The Peace Corps office is in a compound, but once inside the buildings themselves are unassuming. Most importantly, the office has air conditioning. My group was the first to make it to the office…we were an hour early. The Olympics were on, and we even got to see some figure skating. One mission down. Countless to go. I’ve been in Paraguay almost two weeks. It’s hard to believe—it feels like a LOT longer! Each day is a roller coaster of new things and things that appear familiar and at the same time strange. I have a host family, Paraguay PC staff, and whole community welcoming me and supporting me as I try (not without hilarious misstep) to learn Guaraní and learn how to assimilate into Paraguayan culture. My language professors go out of their way to give me tips for communicating with my family and my family members repeat themselves a million times as I learn. Yep, that’s right, my neighbor has a mango tree and we have oranges, grapefruits, and lemons (not to mention all the wonderful fruits whose names I haven’t learned yet). The thing about the PC is you’re not just trying to learn about the culture of your country of service, you are trying to know it well enough to operate within the system. This is frustrating, no doubt, but it’s neat when you realize you are flexible enough to adapt your life to fit a different mold. Every person in my volunteer class has an interesting and unique story. This is particularly cool because despite our diversity we have something in common: We agreed to leave whatever we were doing to come to Paraguay. There is a lot of time to just sit, stare at the lawn, and drink tereré. Sitting time is thinking time and it’s nice to have time to think built into daily life. It’s too hot to think or move several hours a day. It’s a unique language. The challenge is learning new words and how to make new sounds. I anticipate many stumbling conversations in the coming months and years. While it’s nice to have plenty of time to reflect, life moves a lot slower than it does in the US. Coming from a city, I will need to creatively come up with ways to stay busy after training. Did you know the typical greeting wave of the US (made by keeping your hand upright and moving fingers up and down) doesn’t mean “hi,” it means “come”? Did you know that in Paraguay dogs are kept as guards, not really as pets? These are just several examples of the many small things that make life different here. Tampons and candy bars, no you can’t just find them at the corner CVS. I’m slowly learning about all the little stores in my community. I visited the one “large” supermarket the other day. There is nothing like the box stores you’ll find in a US strip mall here and nothing like the variety you’ll find in the shampoo aisle of Walgreens. We fit in the bus! The people of Paraguay are what make the country wonderful. For training (about 10 weeks) I’m living with a host family of seven – a father, a mother, two sisters around my age, one sister and one brother about 10 years younger than me, and a much younger sister. I feel like a long-lost cousin—one that wasn’t born in Paraguay but has always been part of the family. My family makes me feel welcome and included even though I don’t know Guaraní (Spanish has been a great bridge) and I know few of the social norms of Paraguay. 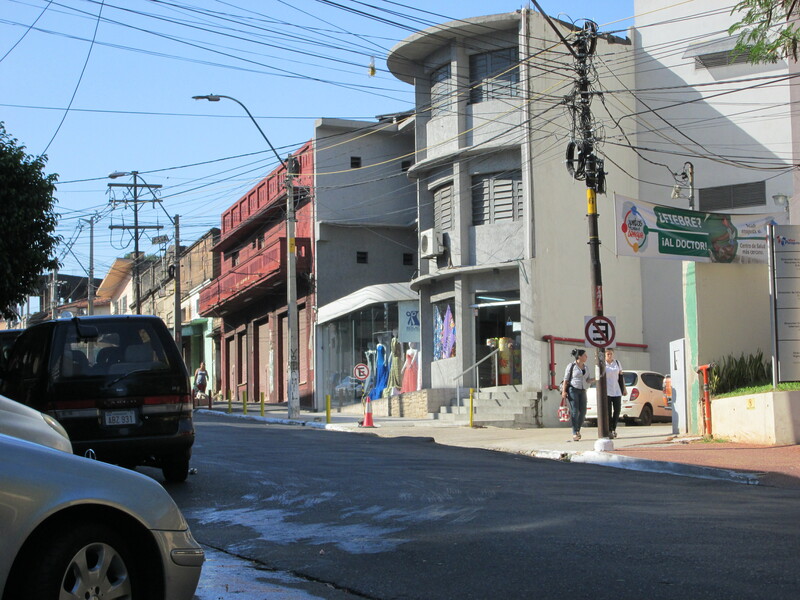 In Paraguay you say “hi” to people when you walk by and it’s not strange to look at people as you pass them. It’s the small town of New England without the icy edge of New Englanders. News travels fast and everyone has countless cousins. The most practiced pastime is sitting with family and friends while chatting and drinking tereré. Paraguay is hot. It’s the kind of hot where doing nothing but sitting and drinking tereré for hours makes a whole lot of sense. It’s the kind of hot where you don’t want to sit on plastic lawn chairs. It’s the kind of hot that a fan can barely tamper. It’s the kind of hot that makes you understand why the Paraguayans are described as tranquilos (calm)—because it’s just to darn hot to be anything else. In the US we blame a (large) portion of our battle with non-communicable diseases, like diabetes and obesity, on processed food. And, while the Paraguayans I’ve met don’t eat many processed foods, I can’t say the average diet here is much healthier – enter the carbohydrates, meat, and fat. Most of the traditional foods in Paraguay are heavy in carbs (especially corn and mandioca) and involve frying or fat is some other way…and red meat. And, much like processed food they are quite delicious (“rico” in Spanish). One of my trainers did a good job of putting the diet into prespective. The trainer mentioned that many of the foods served Paraguayans well when they were working long, hard days in the fields. But, now that life has changed and things are easier the calories aren’t needed anymore. Things, like food, that have a deep cultural connection evolve a lot slower than society moves into modernity.